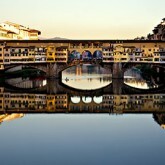 Did you know that there’s an easy way to buy Milan public transport tickets? Well there is. All you need is to text the letters Atm to the number 48444 from your mobile and just about instantly you’ll receive an electronic ticket. To be able to use the Milan public transport electronic tickets, your phone has to be able to accept charges via a text/SMS message. While this should not be a problem if you have an Italian mobile phone contract, visitors may need to activate the required function so the cost of ticket can be charged to their mobile phone account or electronic wallet. The ATM website suggests that this Milan public transport service may only be for mobile phones with Italian contracts. This means that it may not work with US, UK or contracts with operators in other nations. Let me know in comment if you have not been unable to use this service. If you have not, there’s always the ATM Milano Official App. These tickets are the same as the paper versions and are valid for 90 minutes. You can use the electronic tickets to travel within Milan on trams, busses, the underground and trains. Note that they are not valid for trips to Milan’s exhibition and fair complex in Rho. Should you be stopped by one of Milan’s growing army of ticket inspectors, show them your electronic ticket. 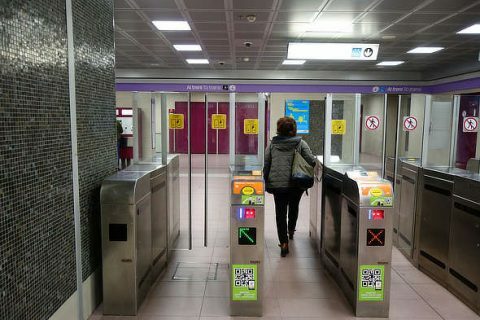 You can use these electronic tickets to access Milan’s underground network via a QR code version of the ticket. This can be accessed via a link in the ticket text message. Your mobile phone will need internet access so you can see the QR code. 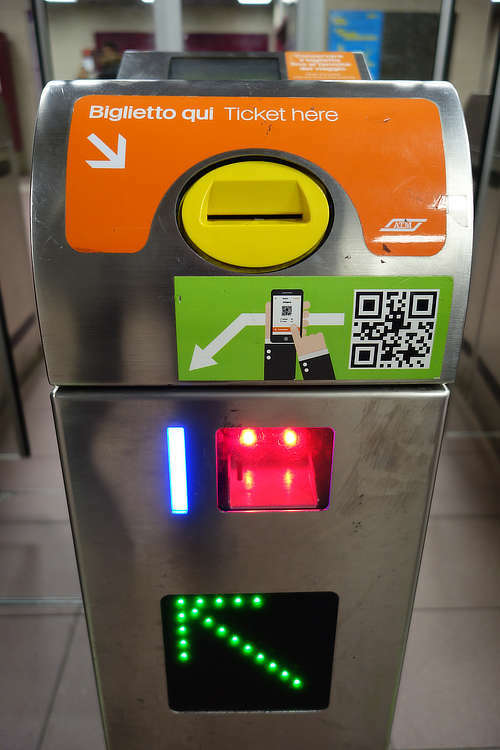 To use the electronic ticket, just hold your mobile phone screen with the QR code in front of the turnstile readers and they should open or unlock for you. Getting the QR codes read by turnstile readers can be a little problematic at times, or so I have found. Persevere, though, and you should be on your way soon enough. If you find that the reader does not like the QR code, try another turnstile. Not all the turnstiles have these readers so look for the distinctive QR symbol as shown in the photograph above. You will also need to use the QR ticket to exit the Milan public transport underground system so don’t delete it! Aside from the slight hiccups with the QR readers, the system is quick and efficient. You no longer need to queue at ticket machines, ticket kiosks or newsagents. Just send a text and be on your way. Rome has a similar system though an app is required before tickets can be purchased. 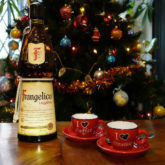 I hope this information makes your trip or life in Milan at little easier. Milan’s public transport system is extensive and very reasonably priced too. Milan’s a great place for shopping too. All photographs by Alex Roe.